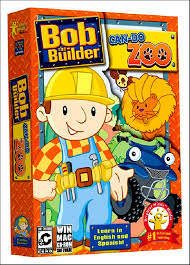 Found one file extension association related to Bob the Builder: Can do Zoo and 1 file format developed specifically for use with Bob the Builder: Can do Zoo. Help Bob the Builder build a home for the animals of Bobland in Bob the Builder - Can-Do Zoo, an amazing challenge for players of all ages from the creators of Diner Dash! All the animals for the Bobland Bay Zoo have arrived, but the zoo hasn't been built yet! Help Bob and the Can-Do crew build the new zoo by completing fun and educational activities. Earn stickers for playing well and use them to create your own scenes in the special Sticker Book mode. Perfect for the entire family, Bob the Builder - Can-Do Zoo features colorful graphics, three difficulty levels, and delightful surprises. Can we build it? Yes we can! If you need more information please contact the developers of Bob the Builder: Can do Zoo (Brighter Minds Media), or check out their product website.